Celebrating their tenth anniversary, the annual rankings honor the top 100 global thinkers in 10 categories; the latest edition released on Jan. 22 also named the top 10 thinkers during the list’s first decade. 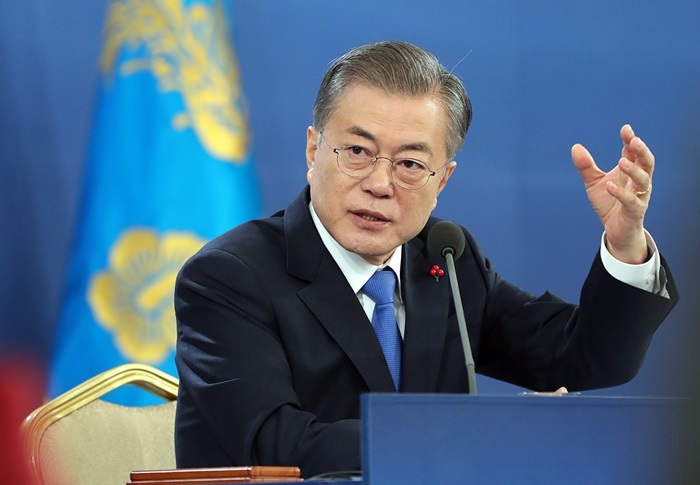 President Moon was among the 10 in the Readers’ Choices category who were selected through an online poll. North Korean leader Kim Jong Un was among the top ten in the 40 and Under category. “His determined pursuit of nuclear weapons and intercontinental ballistic missiles – in the face of sanctions and diplomatic isolation – won him a long-cherished prize: a personal meeting with a U.S. president,” Foreign Policy said.